Amy takes her bird watching group on a walk around Ruby Lake, but talk soon turns from birds to cars. Her group are all excited about the upcoming classic car show, and a few members even have cars they intend to enter. When one classic car ends up with a dead body underneath, Amy decides it’s time to investigate. This is a fun cozy with a great team of characters. Bird enthusiasts will enjoy the bird facts sprinkled throughout, and everyone will enjoy trying to figure out who killed Chick! 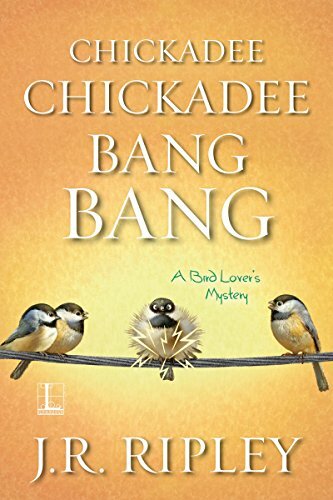 Chickadee Chickadee Bang Bang is the 5th book in the Bird Lover’s Mystery series. 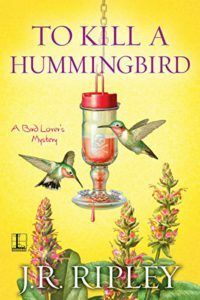 This is a wonderful series, I’ve read them all – great mysteries and a lot of fun.